After rapping on stage for the first time at his recent Hong Kong tour of Salman Khan’s Da-Bang, Maniesh Paul has recently performed lyrical hip-hop in front of a huge crowd at his next destination, Auckland on 21st April, 2017. 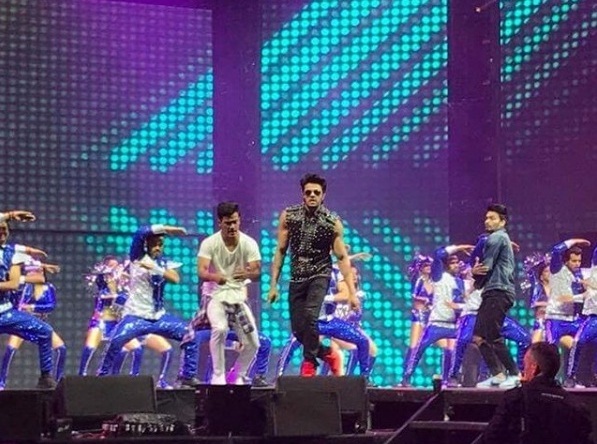 Maniesh’s rapping act in Hong Kong that he had written took the audience by surprise as they cheered him with huge round of applause and whistles. The celebrated television host performed a lyrical hip-hop in Auckland recently as he has been already rehearsing for the same.